We will never get tired of this online magazine. Definitely a fav at Love Mae. We get super excited once the latest issue is released! You can find our lovely grey, chevron cup from our Bamboo Dinner Set (under the sea). Find it here on our online shop. Our Bamboo Dinner Sets are the perfect gift for Christmas! 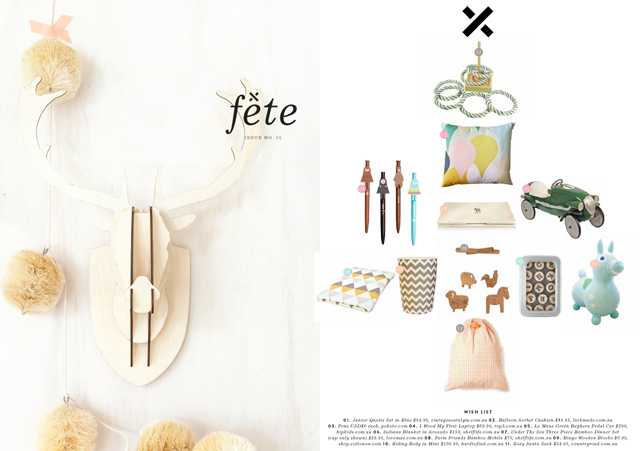 Have a look at this online magazine by fete here.